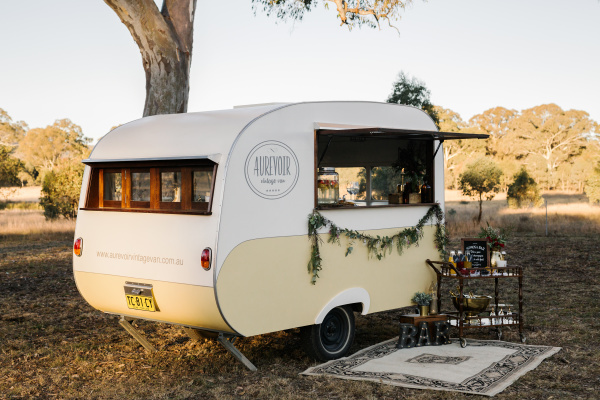 I wish to introduce you to Joan, ​our 1950's inspired vintage mobile bar. The first of its kind in the Central West region. Our story is simple and one that many people can relate to - Joan was born from a bond and love shared between two people and one that would never be broken. With most things that inspire us, my grandmother was the one that inspired me the most. I spent many a day with her as I grew up and she told me stories of her life. The times we spent together were precious and they will remain with me always. We bonded over many things but most of all it was the special occasions and the little things worth celebrating that excited us the most. After loosing my gorgeous grandmother several years ago she inspired me even more to follow my dreams and from this "AuRevoir" was born. Gone but never forgotten and as AuRevoir means "until we meet again" Joan will go on creating beautiful memories for you and your loved ones. From occasions such as weddings, engagements, bridal parties & baby showers to markets, festivals, art fairs, auctions, sporting events and community gatherings - you name it we will create it. Joan will make your event a memory to last a lifetime.